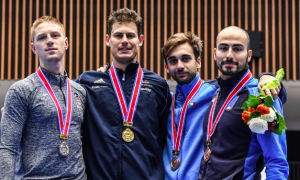 Alessio Foconi has continued Italy’s dream run at these World Championships, taking gold in the men’s foil while Russia’s Sofia Pozdniakova was at the head of a clean sweep in the women’s sabre. 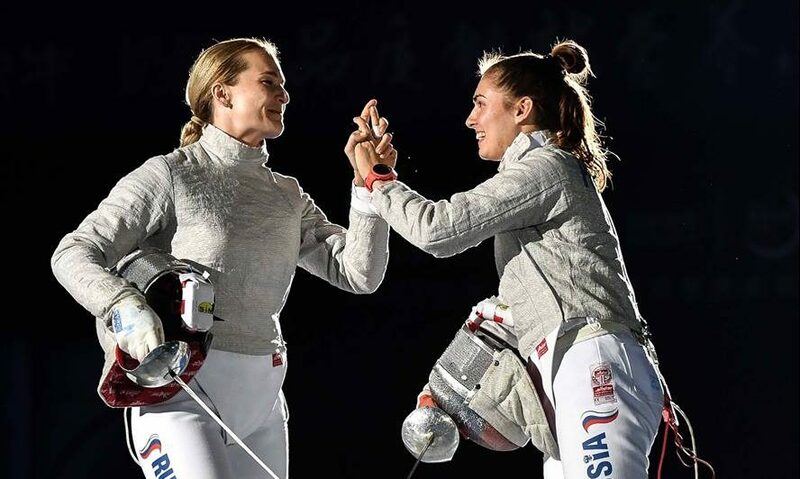 It was a case of youth triumphing over experience in the women’s sabre after 21-year-old Pozdniakova out-touched her teammate, two-time world champion and twice Olympic silver medalist Sofya Velikaya, 15-13 in a gripping final. Having beaten USA’s Anne-Elizabeth Stone 15-6 in the semifinal and before that local Chinese hope Yaqi Shao 15-12 in the quarterfinal, most would have anticipated a win for Velikaya in the decider. It was not to be however, with Pozdniakova going all the way, ensuring that her first senior medal of any kind was no less than a world championship gold. 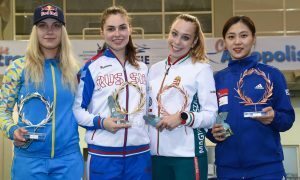 Her teammate, Velikaya, had earlier prevailed over another Russian teammate and current Olympic champion Yana Egorian, who was herself a world champion as a 19-year-old at the 2012 event in Moscow. Their match went down to the wire (15-14) and followed Egorian’s hard-fought 15-13 victory over France’s Cecilia Berder in the quarterfinal. Ukrainian world number one, three-time and defending world champion Olga Kharlan’s dip in recent form continued, bowing out in the table of 32 (15-13) to 16th ranked 21-year-old Shao, fencing out of her skin in front of her home crowd. Such is her incredible world championship record, the defeat consigned Kharlan to her worst result since she finished 20th as a 17-year-old in Saint Petersburg in 2007. 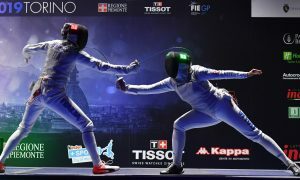 In the men’s foil, Foconi was also somewhat of a surprise winner, with the likes of his teammate, Italian Olympic champion Daniele Garozzo, highly-rated Russian Timur Safin, and world number one Race Imboden from the USA all faltering to lower ranked opposition at the tables of 8 and 16 respectively. Cashing in on this and his outstanding recent form – he won this year’s Shanghai World Cup event in May – was Foconi’s opponent in the final, Great Britain veteran Richard Kruse. Remarkably, in winning silver after going down 15-8 to Foconi, Kruse became the first British fencer to win a medal at a fencing world championship in over fifty years. In his semifinal he defeated Spain’s Carlos Llavador (15-11) whose previous best result had been a bronze at the 2015 European Championships in Switzerland. Foconi had to overcome an in-form Jun Heo from Korea (15-12) after Heo had defeated 2016 Rio Olympic gold medalist, Garozzo in their quarterfinal 15-14. The competition now switches focus into the team’s events, with the finals of the men’s foil and women’s sabre the last to be decided on Friday’s final day at the Wuxi Sports Center.